Ready to be a vegetarian? Mult Scler Relat Disord. 2016 Sep;9:80-90. doi: 10.1016/j.msard.2016.07.001. Epub 2016 Jul 6. Low-fat, plant-based diet in multiple sclerosis: A randomized controlled trial. Yadav V, Marracci G, Kim E, Spain R, Cameron M, Overs S, Riddehough A, Li DK, McDougall J, Lovera J, Murchison C, Bourdette D.
The role that dietary interventions can play in multiple sclerosis (MS) management is of huge interest amongst patients and researchers but data evaluating this is limited. Possible effects of a very-low-fat, plant-based dietary intervention on MS related progression and disease activity as measured by brain imaging and MS related symptoms have not been evaluated in a randomized-controlled trial. Despite use of disease modifying therapies (DMT), poor quality of life (QOL) in MS patients can be a significant problem with fatigue being one of the common disabling symptoms. Effective treatment options for fatigue remain limited. Emerging evidence suggests diet and vascular risk factors including obesity and hyperlipidemia may influence MS disease progression and improve QOL. To evaluate adherence, safety and effects of a very-low-fat, plant-based diet (Diet) on brain MRI, clinical [MS relapses and disability, body mass index (BMI)] and metabolic (blood lipids and insulin) outcomes, QOL [Short Form-36 (SF-36)], and fatigue [Fatigue Severity Scale (FSS) and Modified Fatigue Impact Scale (MFIS)], in relapsing-remitting MS (RRMS). This was a randomized-controlled, assessor-blinded, one-year long study with 61 participants assigned to either Diet (N=32) or wait-listed (Control, N=29) group. The mean age (years) [Control-40.9±8.48; Diet-40.8±8.86] and the mean disease duration (years) [Control -5.3±3.86; Diet-5.33±3.63] were comparable between the two groups. There was a slight difference between the two study groups in the baseline mean expanded disability status scale (EDSS) score [Control-2.22±0.90; Diet-2.72±1.05]. Eight subjects withdrew (Diet, N=6; Control, N=2). Adherence to the study diet based on monthly Food Frequency Questionnaire (FFQ) was excellent with the diet group showing significant difference in the total fat caloric intake compared to the control group [total fat intake/total calories averaged ~15% (Diet) versus ~40% (Control)]. The two groups showed no differences in brain MRI outcomes, number of MS relapses or disability at 12 months. The diet group showed improvements at six months in low-density lipoprotein cholesterol (Δ=-11.99mg/dL; p=0.031), total cholesterol (Δ=-13.18mg/dL; p=0.027) and insulin (Δ=-2.82mg/dL; p=0.0067), mean monthly reductions in BMI (Rate=-1.125kg/m2 per month; p<0.001) and fatigue [FSS (Rate=-0.0639 points/month; p=0.0010); MFIS (Rate=-0.233 points/month; p=0.0011)] during the 12-month period. While a very-low fat, plant-based diet was well adhered to and tolerated, it resulted in no significant improvement on brain MRI, relapse rate or disability as assessed by EDSS scores in subjects with RRMS over one year. The diet group however showed significant improvements in measures of fatigue, BMI and metabolic biomarkers. The study was powered to detect only very large effects on MRI activity so smaller but clinically meaningful effects cannot be excluded. The diet intervention resulted in a beneficial effect on the self-reported outcome of fatigue but these results should be interpreted cautiously as a wait-list control group may not completely control for a placebo effect and there was a baseline imbalance on fatigue scores between the groups. If maintained, the improved lipid profile and BMI could yield long-term vascular health benefits. Longer studies with larger sample sizes are needed to better understand the long-term health benefits of this diet. It’s no secret that humans are omnivores (that is, we eat a meat and vegetarian based diet), and for the better part of evolution there has been no dilemma over this edict. 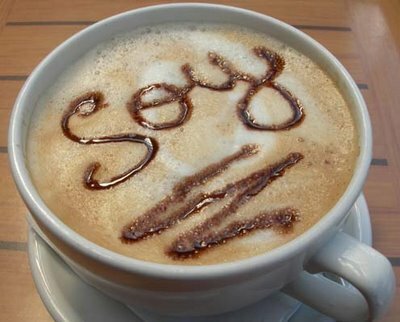 But is this all about to change; like the soya latte which the younger generation seems to favour? Are we as a species moving beyond our defined taxonomy as scavengers, which lets face it, is essentially what omnivores are? Or, is it that becoming a herbivore, our intended evolutionary goal all along? It’s difficult to test dietary requirements, however, if it can modify a disease it is worth doing it. Randomised controlled clinical trials are the gold standard of evidence based medicine. Here, Yadav et al. study the effect of very low-fat plant based diet on brain MRI, disease activity, metabolic function and quality of life in PwMS. However, they state that there is no change in MRI or disease activity, which is not surprising given the small numbers of people involved and the participants were on disease modifying therapies (DMT). This is one of the major failings of this study and under-powering the study means that a large effect on the outcome studied is required, which for an environmental factor, is a lot to ask. They do, however, show improvement in metabolic parameters, such as insulin and cholesterol levels, and in fatigue levels (a significant proportion of which was linked to weight loss). This is promising. So we don’t have an answer on if it’s better to be a vegetarian if you have MS, but maybe there may be an advantage if you’re diabetic and slightly overweight! CoI: NDG is a vegetarian. The big question is who has some researchers who see something in the animal protein as one of the possible antigens to trigger MS. Regarding animal proteins – yes, I wonder about this, since I have PPMS and am allergic to dairy and eggs. Hi Cinara, vitamin D has a lot of well powered studies, as well as basic science research behind it. Not so much with EBV and other viruses. But other factors also need to be considered and it may turn out that one particular factor stands out above others in a particular individual compared to another. Hopefully discussing the study may spark others interest to look into it further. NDG why do we see this endless stream of underpowered trials that tell us very little and go no where. You only realise how difficult it is to do the studies when you start them. You realise that trying to coordinate even 50 people over a number of visits becomes chaotic. It's like the fluoxetine study presented at ECTRIMS 2016; I was sat there shaking my head thinking unbelievable they've managed to do a second underpowered study for the same drug again (coming from the same group you wander). You need more than one centre to do well powered studies, which requires resources. Sigh. Given the fact that the sort of changes lifestyle interventions bring happen more slowly, I think this sort of study needs to run over at least 3 years? Again, it's easier to get funding for a study over a two year period, or even say five years. Maybe the possibility of additional funding needs to be built in if there are interesting findings. Pharma does exactly this with their Phase 2 studies rolling into Phase III and Phase IV extension studies.